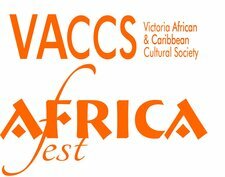 Victoria Africa Caribbean Culture Society (VACCS)/ AfriCa Fest Productions was founded on October 19, 2012 by Pulchérie Mboussi. An African Canadian originally from Cameroon. From the time Ms. Mboussi immigrated to Canada in the mid 1980’s she has earned a strong reputation as a community leader and advocate of promoting and celebrating the rich and diverse culture of Africa and the Caribbean by organizing and engaging in cultural events and awareness raising campaigns. This began in Quebec where Ms. Mboussi became well known for her creative and innovative approaches of promoting African culture that included activities and events that celebrated African and Caribbean traditions of dance, music, literature, and the culinary arts. Ms. Mboussi life long commitment as an ambassador of African and Caribbean culture continued when she moved to Victoria BC when she founded VACCS in 2012. To advance awareness and understanding of the richness and diversity of African and Caribbean culture and traditions through the promotion of a broad range of cultural, educational and artistic activities, events and programs.